HomeNordost Valhalla V1 vs V2 Interconnect Review 2019. Nordost Valhalla V1 vs V2 Interconnect Review 2019. Ahhh, cables. High end expensive cables. Some call it Snake oil. Rubbish and Nonsense. I used to feel that way during my 1st 10 years of this HiFi Hobby. I used to refuse to believe for a second that interconnects, speaker cables and power cables made any kind of real audible difference. I mean it all seems so ripe for a scam right? Audiophiles are sometimes called “Audiofools” by those who do not have the same kind of passion for this hobby as the most dedicated because some of us spend insane amount of money for even a 1% improvement to the sound. Crazy, yes but I am not one who spends money for such small gains. I need big gains for my money so the fact that I am reviewing cables here is funny as most think cables are nonsense! Well, let’s see. Some listen to details, some listen to music. You can put me in the “listen to music” camp but I can also get a little obsessive about it as well. Me and cables? It took me a while, but these days I not only am a 100% believer in cables, in some cases it is a night and day difference. My wife, my son and friends have heard these differences, clearly and audibly both for the better and the worse! BUT!! I am not here to tell you that the most expensive cables will always sound better than something that costs much less. In fact, I just tried out an RCA interconnect that retails for $7800 and it turned out I found a cable for $6300 less that beat it in every way in MY system. EVEN DURING A BLIND TEST WHICH I JUST DID AND PICKED MY NEW CABLE EVERY TIME. IT IS NIGHT AND DAY IN MY SYSTEM! One thing to keep in mind is all of our stereo systems are different. From the room (#1 factor to the sound), to the amp, to the source, to the speakers and speaker placement. Before we even think of cables, we have to make sure everything else in our system has synergy and sounds great as is, before we add any fancy or even mid priced cables. In other words, before you spend money on cable upgrades get to the point where you are happy with your source, amp, speakers, etc. Then you can refine it and get it locked in with cables taking it up to a 5, 10 or even 20% improvement. Yes, a bold claim but one I have experienced first hand. Also, never judge a cable by it’s price, but rather by what it does for your system and wether or not it works for YOU. You may prefer a $250 cable to a $2000 cable in your system! Fact, cables can and do and add a sound signature. I have only found one cable to date, in my over 25 years of HiFi that does not put too much of a “color” to the sound or should I say a “minimal” color (Nordost Valhalla 1) It lets my equipment shine through but even so, it does add some flavor which in my case was a good thing. There is no such thing, IMO, as a cable that does not inject some sort of flavor to the sound. You may have read this is the case with some high dollar cables but it is not true. ALL cables change the sound somewhat if your system is good enough to show the difference. If you system is not, then nearly any decent cable will do great for you. Never spend a thousand dollars on a cable if you entire system cost you $5k. You may hear a difference but you are not hearing the true magic a great cable can bring and you are paying for only partial performance. Again, you are running speakers and source and pre amp/amp that is capable of delivering these differences and flavors you will notice differences with ANY cable you put in place. In the past, when I had more mid fi gear, cables did not matter too much. I mean, I still used decent cables but nothing in the high hundreds or even thousands of dollars as the more refined and fancy cables did not make a difference in this system. Your system has to already be a fine tuned resolving machine in order for cables to make a dramatic difference. Some may not realize this, and I am talking everything from room to placement to source and amp. So when it comes to pricy high end cables, always remember there is a lot more going on with your system that can and does effect the sound. For me it has taken me 2 decades to finally get to a point where I have the most “dialed in” system I have ever owned. Everything goes well together from the DAC to AMP to SOURCE to SPEAKERS and even to my ANALOG rig. It was at this time that I found auditioning cables really showed me the difference a good cable can make to the system. Again, GOOD does not always mean UBER EXPENSIVE. Before I found the perfect cable for my system, it (my system) sounded great as is. But I knew it could sound even better and deliver more transparency, tighter or deeper bass, more focus, more separation of voices and instruments and even a larger soundstage. I was using Nordost Red Dawn speaker and IC’s and was happy for the most part but again, I knew I could get much better. The red dawn was sort of closed in a tad, warm but very pleasant. Nothing to complain about for the cost last they bring some of the NEW Nordost flavor to your system and this is good. But I wanted more! So away I went on my short interconnect test journey. Before I start writing about the Nordost Valhalla I and II, I will say that I have tested SEVERAL cables here from a few brands over the last year. Audioquest from Water to Earth. Nordost from Red Dawn to Valhalla 2 and small companies like Darwin with their latest $1500 cable that made huge claims about the sound quality that sold me on giving them a try. 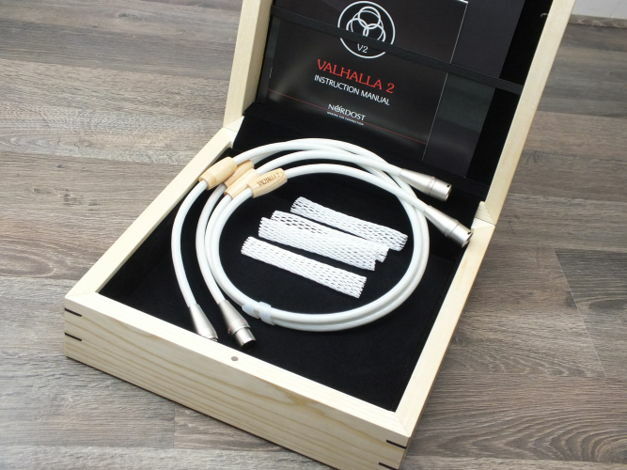 In the end, for me and my system, I picked up two sets of Original Nordost Valhalla 1 cables, new in box, (NOS) for around $1600 a pair just recently and for me, they blew away the Valhalla 2 RCA Interconnect I was using that retailed for $7900+. I will be happy to tell you the differences these cables made, how they differed in my system and what other cables brought to the table. Heck, I even used a $7 (yes, seven dollars) generic RCA to see what the difference really would be! If that cable sounded the same, it would have stayed and saved me some serious cash. Wouldn’t that be nice? Oh yes, please be as good cheapie cables! I had such a positive reaction to a Nordost Valhalla 2 Power Cable in my older system in 2014 that I was lusting after a V2 full loom for 3 years. Knowing this would never ever happen (as I am at least 70% sane and not rich) I managed to get a hold of a new Valhalla 2 RCA interconnect for a nice price. A price I could live with and heck, I even was able to demo it in my room before making the commitment so I knew what I was getting into. (But this is not the cable I ended up with in the end). The V2 RCA is a pricey cable, it retails for $7900 or something insane like that. Just for a 1 meter RCA cable. In my system it (the V2) seems to make everything bigger. Voices, check! Instruments, check! Soundstage, check! It offered a sound that was somewhat clear, big, massive and also had some warmth to it. In fact, over time I noticed that there was much more mid bass warmth that I could have imagined. I thought it all sounded so good and so much better than the Nordost Red Dawn I was using I was sold. Worked out a great price at my local dealer and ordered one set of Valhalla 2 interconnects and even traded in my red dawns. Using Frey 2 speaker cables and being 100% happy with them, I was glad to just have some Valhalla 2 in my system, which was going to be used for my PS Audio Directstream DAC to my Luxman 590 AXII integrated. I waited a week or so and my cables came in. I installed them and they sounded pretty dark, in fact, much darker than I remembered with the demo. When I did the demo, I tested XLR cables. I ordered RCA as with my history of buying new gear, I knew RCA would be more versatile and my dealer also recommended the RCA over the XLR. But yea, they sounded different. Anyway, I knew these had to burn in and that they did. YES Nordost cables go through many changes during the fist 100-200 hours. It’s a real thing. For a few weeks they played non stop, and I noticed the differences as they changed right before my ears. The darkness was going away and they were opening up but then more darkness then more openness, then lack of bass, then overpowering bass, then they settled in and stopped changing. For fun I swapped them one day with a pair of Audioquest Water and this is when my son and I noticed the difference and that yes, the Valhalla 2 added more warmth, richness, harmonic overtones and they seemed to be so much more musical than the AQ Water. In fact, when compared to the Valhalla, the Waters sounded “cheap”, edgy, harsh. Yuck. This was another night and day moment. But this is a $500 IC vs a $7000 IC. So I mean, yea. I was able to witch between the two in real time and it was NIGHT and DAY, the character of the sound. I was happy with the V2 but still, they had this overall “dullness” that I found came from adding some (almost too much) mid bass warmth to my system. They were the best I have heard, but for the cost it was starting to bug me as I felt they lacked in transparency compared to the best I have heard in all my HiFi years. I felt they should have been much more open as my soundstage was a tad shrunken and details lost compared to even the modest Audioquest Earth, which sell for 1/8th the cost of the Nordost. The AQ Earth is an all copper interconnect that sounds nice. It is killer with vocals but is also a tad warm in my system, but I told myself “these are 80% of the V2 for 1/8th the cost”. Hmmm. A different presentation for sure and more “muffled and soft”, only in direct comparison to the V2, but still superb IC’s for the cost. Used, the Earth can be had for $500 and for that these are a steal. When I say “muffled” I mean only in comparison to $7000 V2’s. In reality they are not muffled. These are really fantastic ICs. I wanted to test more. I ended up buying a pair of $1500 IC’s from Darwin Cable Company called “The Enlightenment”. These are hand made in the USA and promised sound that would knock my socks off. They even say their lower end cables beat out $15k cables! Well, this is a quote from a customer review on their website using the cheaper model! I WAS SOLD! I ordered a pair knowing they had a 30 day no questions asked return policy. BTW they were advertised as having a $2000 retail but they were offering them at an introductory special of $1500. The Darwins came FAST but sadly they were a non starter FOR ME as they felt insanely fragile in build, as if they would just break if I changed them out a few times. Not saying that they would but they made me nervous. Also, they are not shielded so they are a no go for analog, even with a grounding cable there was major buzz and hum when spinning those black vinyl discs. On digital, the sound was VERY pleasant though. The Bass beat the Valhalla 2, and the signature was on the soft and mellow side in my system. Not very dynamic but more “organic” and I will say the way they reproduced the human voice was beautiful. Nice, pleasant, never harsh or cold but for me, it was missing something, it was a tad “soft” and had not much dynamic impact in my setup. I will state now that I have golden ears. I know what I like and if I do not hear it, well, I am not happy and it bugs me until I can fix it or get to where I want with my system. I am as picky as they come so what I dislike you may ADORE. Keep that in mind. I am HARD to please when it comes to audio. I would say that most audiophiles would enjoy the Darwins quite a bit actually. They could even help tame a hard or harsh system and flesh it out some. Cables are system dependent and also a very personal preference kind of thing. More $$ doesn’t always mean better and less $$ doesn’t always mean worse. All depends on well…EVERYTHING ELSE going in with your system and room! Well, Upscale Audio had a set of RCA 1M Valhalla for $1500 and said “no box but get a deal on some of the best IC’s ever made”. Said they made a special buy with nordost as they cleared out the old models. Hmm. $1500 for LEGENDS?!?! Worth a shot. I did buy a set from them and actually bought them in person as my wife and I were taking a trip to Disneyland. Since Upscale was on the way back home we stopped in. Turned out they sold me a pair with a Nordost wooden box at the special price. Hmm. Anyway, got them home and installed them. It was night and day. Even compared to the Valhalla 2. Crazy. The Valhalla 1 for me, in my system, beat the V2 in every way for my tastes. Out of the box they were much more open, more spacious, more detailed yet without any harshness or grain or tipped up treble. They had less bass output than the V2 though, this was very noticeable but they sounded much more balanced to these ears. No dullness, just wide open sound. Like looking up at the sky on a crystal clear sunny day. The V2 construction was better, more solid, but the V1 was more attractive even. They looked like they were worth more than the $1500 I paid where the V2 look great but not worth the $7800 retail that they go for new. But eh, it’s the sound we are interested in here not the looks. It was a huge eye opener for me. I could not believe the “older” V1 Valhalla was sounding better in my system, and if I can be honest, they sounded much better. My soundstage width grew side to side and front to back. Voices were large, and sounded much more real and present to me than ever before. It was almost spooky on some tracks, and the life it brought to the music was intense. Listening to Melody Gardot’s “Bad News” from her Live in Europe offering was an experience. HUGE, LIVE, and like I was there in the midst of the audience. It was so good I listened to this track three times in a row. What is interesting is that with the V2 the track sounded good but nothing like this. Now it was dynamic, instruments popping out from everywhere and vocals so present and “real”. There was a transparency that I was missing from the V2, like the V2 had the window closed and the V1 just blew right through the glass and made things that much more apparent to me. I always avoided the old Valhalla V1 as I heard many times that they were “lean” or “bright” or “harsh”. Well, in my system I was hearing the opposite. I heard open, natural, real, magical, 3 dimensional and smooth. Compared to the V2, again, in MY system, the V1 was more 3D. There was just a presence there that made the music come to life and little hidden details in music just kind of popped out. This is when I learned that with ANY audio gear you MUST hear it for yourself. So you reading this now? This Valhalla may sound different for you than it does for me. Just take this as my own personal experience with each cable. I ended up with a cable I much prefer and it cost thousands less. That’s amazing. I then took the V1’s and put them on my VPI Prime Analog setup which I bought not too long Ago after swearing I was getting out of Vinyl (just could never get it to sound as good as my digital) but I had one more try in me, and for a table I really loved the look and design of, the VPI Prime. Well, the VPI prime is sounding GLORIOUS and matched my PS Audio DirectStream Dac and sometimes bests it. So glad I stuck in there. 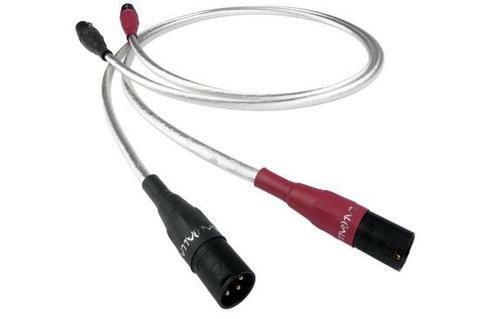 But I want 100% happy until I threw in these Valhalla cables to the prime replacing an Audioquest Earth. The V1 made my Audioquest Earth which resided there sound like MUSH, or MUD (and Earth are excellent IC’s). It was again NIGHT AND DAY. My vinyl came to life, and sprung to life with the same qualities as my digital. It was time to face the music and the truth. This older Valhalla 1 is special, and after some serious listening I have concluded that it is the best audio interconnect I have ever heard, tested or auditioned. Now of course I have not heard them all so I am sure there is something out there that could better these in my system, but I have no desire to even test further. These make me happy as can be. I loved these Valhalla 1 so much I quickly went back to the Upscale Audio website to see if they had one more pair for sale. Lucky for me, they had one more 1M pair and I ordered them for $1550. Three days later they arrive, BRAND NEW WITH VALHALLA wooden box and all. They are now on my VPI Prime making sweet music as I type this and I feel blessed to be able to have two sets of these, for digital and analog. I feel like I got a steal of a deal. Two sets of Valhalla 1 RCA’s around $1500 a set, with box and really brand new? Upscale Audio came through and delivered MORE than they advertised here. In fact they have a page right now with some crazy deals where they are lowering the price by 5% every week until they sell. Some crazy buys on this page HERE. PSSST: As of Jan 31st 2019 they have two 2 M sets left. They cost more as they are 2M of course. The moral of this story is that if you have a highly resolving system then yes, cables do make a difference but more money doesn’t always mean better sound. It might… in your system… but it also might not, like in my system! 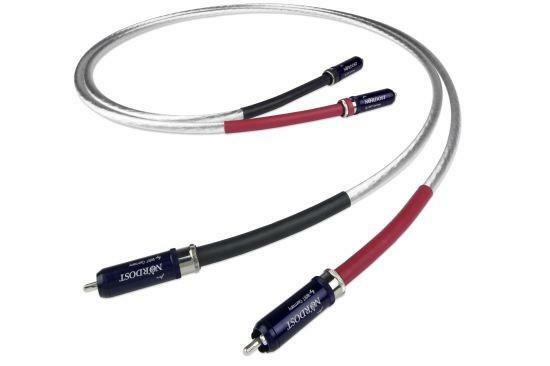 Are the Valhalla 1 cables still expensive for what I paid? Yes 100%! But I will say this with 100% conviction. These cables made more difference for me than say, updating a DAC or Phono Cartridge or even a Source component. Unless you have cables that can show you what your system is capable of, changes in other components will not be showing you their full potential! Makes sense right? Cables are important and in my findings between speaker, power and interconnect, the interconnect for me has made the biggest differences, then power then Speaker. Yes, I said POWER cables even make a difference but that is more complicated (depends on the quality of your power) and some will not see a difference with power cords. Nordost Valhalla 2 – $7900 Retail (adds warmth, bass, and nothing like the old V1 Nordost sound. Energizes your system and sounds wonderful with vocals). The rest were good, some great. Some fantastic. But one stood out above them all for me, and that was the V1 Valhalla. It truly is one of the best IC’s ever made IMO and there is a reason so many still use them as a reference today. I’m sure the ODIN beats it but I am not willing to go into the stratosphere and bankrupt myself for a 10% improvement. USED Odin 1 IC’s go for around $5500-$6500. Eek! What I have a hard time believing today is that some out there still think different IC’s do not change the sound. I once saw some give this advice in an audio forum… “just buy a good $20 cable” as they are all the same after that. This is not only bad advice but false information. Trust your ears and only your ears. In fact, do not go by what I say here as again, this is in my system, in my room, with my equipment and the power from my wall. (I use audioquest power cords BTW). What these cables sound like for me on my Sonus Faber Guarneri Tradition may not sound the same with your (INSERT YOUR SPEAKER HERE). Big Sound, Big Vocals, Amazing Instrument Separation, crazy good imaging, Neutral Balance but not ever cold or harsh, balanced sound from top to bottom, huge soundstage, airy and smooth and 3 Dimensional. No these will not pump out fat bass in the mid or low end but they will deliver deep accurate clean bass when called upon. They make my speakers truly disappear in a way other cables didn’t. 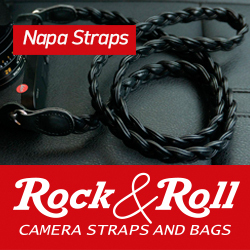 These are CLEAN sounding cables, NOT romantic. If you want romantic or bloated, these will not be for you. Fatter sound due to more bass and mid bass but at the expense of air (and yes when you side by side with V1, there is a loss of air), more liquid sounding than V1, even bigger vocals and warmer than V1. Has some 3D magic as well but compared to V1, it loses some of that. For me, the Valhalla 1 is indeed the best interconnect I have ever heard. Instruments pop out of nowhere and they are well defined. Music is never ever smeared or foggy and at the same time they can boogie, rock and roll or seduce you without ever sounding fatiguing. Hidden musical details can be discovered for the first time, and yes, they sound amazing with Vinyl as well. They have turned my vinyl rig into a wide open view of the music, where the AQ Earth sounded a tad muffled and closed in by comparison. (but I did not notice this until I compared them). If you have a V1 or have had a V1 and they sound or sounded bright then the issue is somewhere else in the system, most likely the room or speaker placement or other part of the chain. 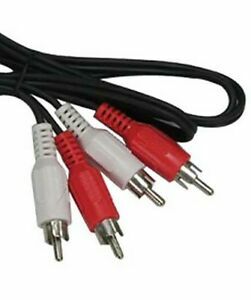 These are not bright or lean cables (unless you like big fat artificial exaggerated bass like beats headphones or something). These are “just right” for me and exaggerate nothing. Room: 12X13 size so pretty small. DAC: PS Audio Direct Stream (Snowmass) with Bridge II – Amazing DAC!!! Analog: VPI Prime with Clearaudio Maestro V2 – The fave TT setup I have had. 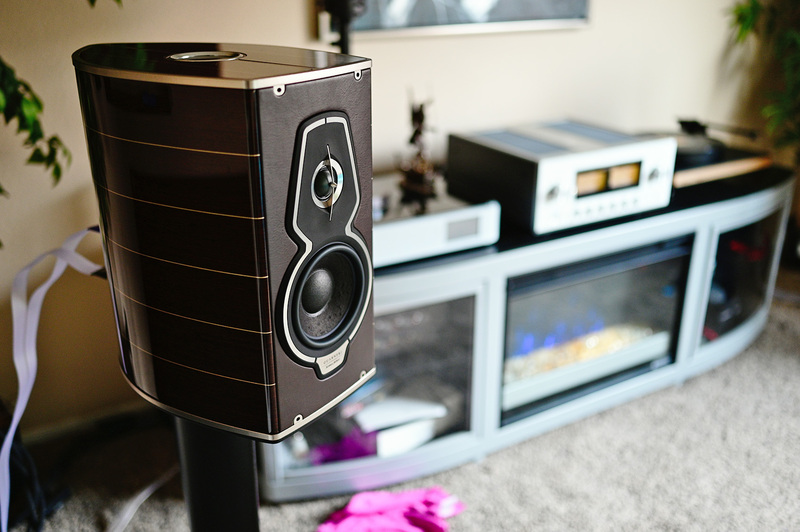 Speakers: Sonus Faber Guarneri Tradition – Ahhhh. 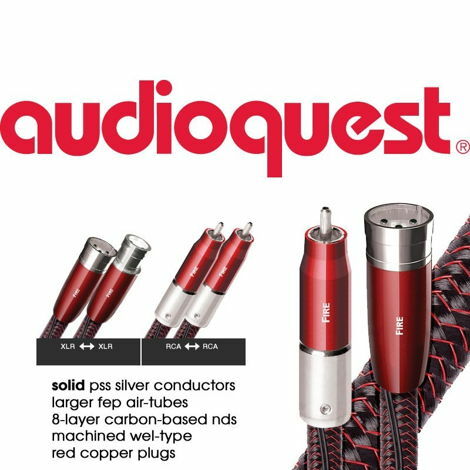 Power: Audioquest Tornado and Hurricane into a Niagara 1000 (I like these AQ Power Cables more than Nordost, as they add some weight back to the system for me). So there it is. My search for the perfect interconnect for me is over. I went with an oldie but a goodie. Correction, an oldie but a LEGEND. 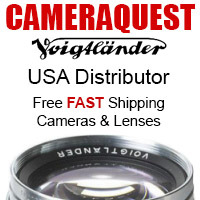 Yes my friends, the original Valhalla 1 is still very special and gets my highest recommendation. You can often find them used at Audiogon.com for a fraction of what they went for new. With that said I do not want to sound like they are superior to the Valhalla 2 as for you, your system, your ears the V2 may be and probably is superior. They do offer more bass energy for sure, and a more liquid type of sound. Sound is personal, so always audition when you can because these things are NOT cheap! Sometimes we just like “different” from what we already have. This is why there is a HiFi industry where we spend crazy money on new things. Sometimes a “new” sound is perceived as better because it is NEW. But over time the good always stays good, and the Valhalla 1 is still in so many reference systems for a reason. It will say good for a lifetime, or as long as 2 channel high end stereo exists. Also, if you are ever in Phoenix AZ I highly recommend AZ HiFi. This is where I buy most of my cables and some gear. They carry Nodost and if you are local, you can demo them as well. They also sell some amazing amps, integrated and turntables. A must “stop in” if you are ever in Phoenix AZ. Check out Upscale Audio as they have some pretty nice deals going on all the time. This is where I found the Valhalla 1 RCA’s and Speaker Cable on Clearance for a fraction of what they once cost, and they were new with wooden boxes!